H. William Ruback has a way with words and his soon to be published book, the SHORT of it…., doesn’t disappoint. 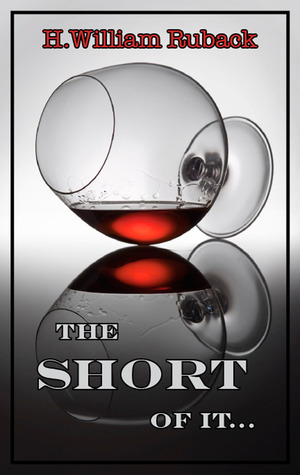 SHORT, an anthology of stories and poems written over the last thirty years, provides the reader with a delightful and diverse potpourri of his writings. From the stark terror of “Crossing Boundaries” to the gentle memoiresque musings of “In My Blood…”, Ruback’s short stories engage and transport the reader to strange places and other times. His fascination with the magical and mystical elements of the world is evident in his poetry and eerie tales and I look forward with great anticipation to his premier novel, SHADOWPET, which will be published later this year. I highly recommend the SHORT of It… – I know you will enjoy it.